← What’s in the fridge? One of the things I miss most about being gluten free is enjoying a beer. For a while, many people told me to try Redbridge, which is gluten free and easy to find. I did give it a shot, and it was… okay. Not my favorite beer, but I guess it could work if I was really craving a beer. 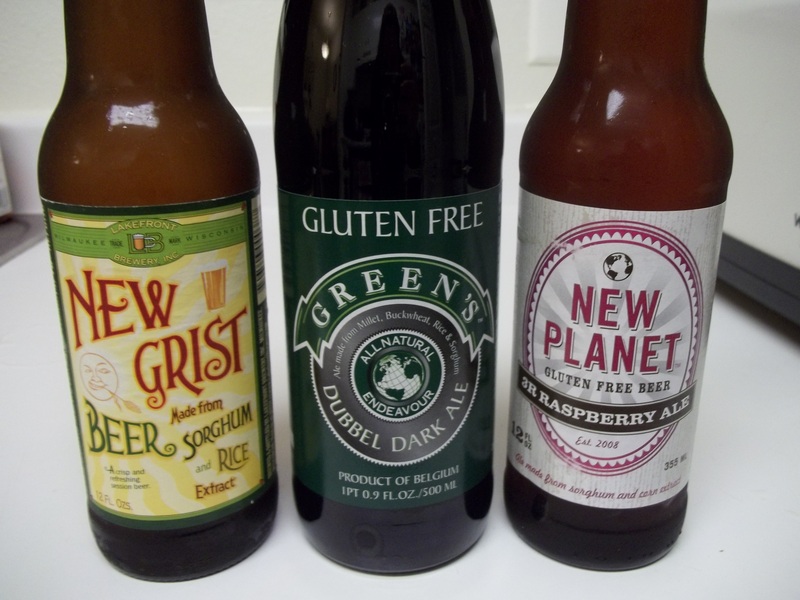 But recently I came across 3 new gluten free beers, all so delicious! The first one is made from rice. It is light, citrusy, and very thirst quenching. Similar to a white ale. The second one is my new favorite. For someone who was a big Guinness fan, this is an excellent compromise. It has a genuine taste similar to a porter or a stout… dark and rich. It is made from millet, buckwheat, and rice. The third one is raspberry flavored… which I never imagined I would find! Its base is corn, and it is very similar to a raspberry UFO. Really delicious! Although these beers are hard to find in restaurants and bars, it is nice to see them in my fridge as an icy cold option!